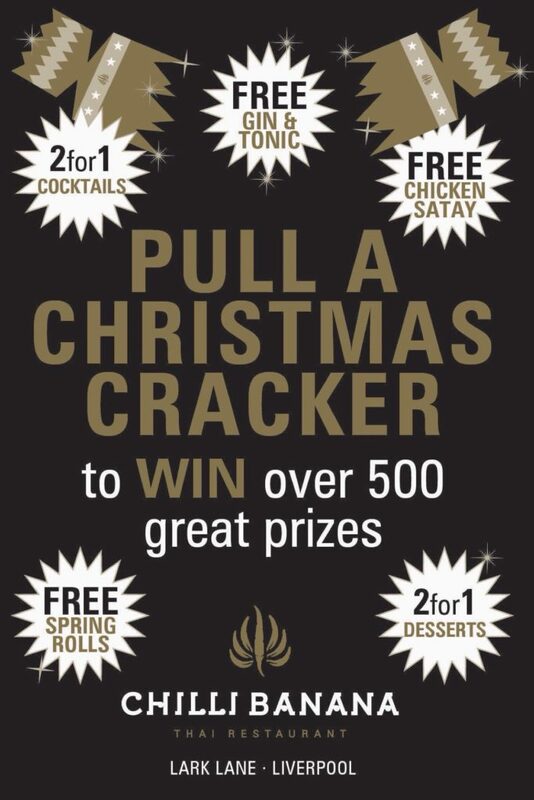 Enjoy some great offers and festive fun when you dine In Liverpool this December ! Every guest will receive a Shelter (can we insert their branding and logo here please) Christmas cracker when they dine. These Include Free Gin and tonics, Spring rolls and 2 for cocktails, to name but a few ! with a 1 in 2 chance of winning, whilst supporting the Homeless this Christmas whats not to like. Don’t forget to look inside to see if you have found a winning Ticket ! WHAT WILL YOU PULL THIS CHRISTMAS !